Clearview fuel filter with chrome ends and a glass body for clear and quick viewing of fuel flow and debris trapped in the 100 Micron white mesh replaceable filter element. Supports up to 400 HP, Includes 1/4", 5/16", and 3/8" in. hose barb fittings. Not for fuel injected applications - 10 PSI MAX Pressure. 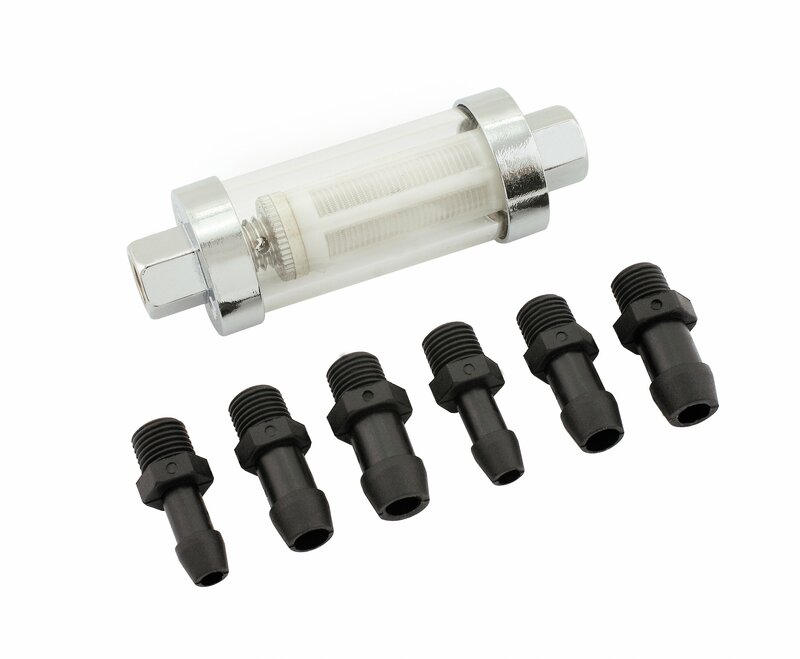 When installing or replacing element, tighten metal fuel filter ends to 13 in-lb. Replacement fuel filter elements for Mr. Gasket 9706, 9747, and 9748.